Inflammation is the root of so many issues. Some experts believe that chronic inflammation in the body causes most diseases including cancer, Fibromyalgia, Arthritis, Diabetes, Alzheimer’s, Heart Disease and the list goes on. A few weeks ago I wrote a post talking about Dr. Dwight Lundell’s article stating as much, and admitting he, and most doctors are flat out wrong about what causes heart disease. Recently, there was a study on carbohydrates and Alzheimer’s disease. I found it interesting that Dr. Lundell also says that carbs are a big reason for inflammation and thus disease. So, what are we to do about it, besides cutting simple carbs? I did some research for myself and I’m sharing these 5 natural foods that fight inflammation. 1. Curcumin: The good news is that Curcumin is an herb. It’s been used for centuries in Chinese medicine and is a very strong anti-inflammatory found in tumeric. It’s the spice that makes curry yellow. In addition to its anti-inflammatory affects, here are a few of its reported other benefits: controls and modulates blood sugar, been shown to kill cancer cells, and boosts bodies levels of antioxidants. Because it would be nearly impossible to eat enough curry to get enough, there are supplements. You’ll need to take it with black pepper to help absorption. I read somewhere that you can swallow a few black peppercorns with your supplements, so that’s how I take it. Easy! Oh, and there are studies on the benefits of curcumin in relation to Alzheimer’s. It’s pretty powerful. 2. Oily Fish: Salmon, mackerel, sardines and tuna are all high in Omega 3 fatty acids. You’d need to eat fish several times a week, and no fried fish and chips, that doesn’t count! If you’re like me and not a fish fan, (well, I do like it fried from the Chippy), supplementing with fish oil is a great idea. 3. Dark Leafy Veggies: Kale, Spinach, Broccoli, Collard Greens… your mama was right! The darker the leaf, the more phytochemicals, and a higher concentration of vitamins. Eat your veggies. 4. Olive Oil: From what I’ve read, extra virgin olive oil, (from the first pressing of olives, I didn’t know that) contains a compound that suppresses the chemicals that cause inflammation in your body. (sort of like Iburprofin does, evidently). Cut out the vegetable oil. Stop it. It sounds like it’s good for you because it has the word “vegetable.” It is NOT good. 5. Cherries: Studies have shown that when healthy men and women added cherries to their diets that their blood markers for inflammation went down. Scientists say that the compounds that create the cherries rich red color are the anti-inflammatory agents. Now, if I could only learn how to tie those stems!! There are many sources out there with many, many ideas to naturally reduce your body’s inflammation. Because I’m no doctor, and am not an expert in any way, shape of form, I’ve simply found these foods/supplements out on the web. I’d suggest you go out and search anti-inflammatory foods and see what you think will work for you. My main point is that I think that inflammation is something we need to think about and try to control as best we can. I’m not a fan of pharmaceuticals, unless there’s a dire and acute need and I do believe that we can heal our bodies with what we eat. It seems to make sense that food is medicine, doesn’t it? How do you fight inflammation? I Voted! No Voting = No Complaining! Have Your Say! Tennis Legs, Where Are You? Hit some tennis balls yesterday, and though I got to hit a few a week or two ago, yesterday (happy sigh) I really hit some balls! There was, sadly, (doc’s orders), no running involved, but I was able to really hit out on the ball, just like old times. Sorta. I’ve said it before, I love nothing more than hitting the snot out of a ball on a flat out run, wide outside forehand for a winner. There’s not much that is more exhilarating or satisfying. Obviously, there was none of that going on. This was no 4.5 tennis match, but the joy of being out there with a patient (damned fine tennis player) friend, was delirious. My happy meter went way up. It didn’t hurt that the sun was out and the temps were in the 80s. My knee did great! I moved fairly well in my confined (half) of the court and even when she was sending volleys to my groundies, I was able to move and keep up with the faster pace. I only had a tweak or two, but fully expected to be sore today. Nothing! I’m happy to report that there’s not a twinge, AND my tendency to limp has not happened today… yet. Knee and calf. If you look closely, you can see at least one of my scope scars. I couldn’t bring myself to show the smush. You’re welcome! 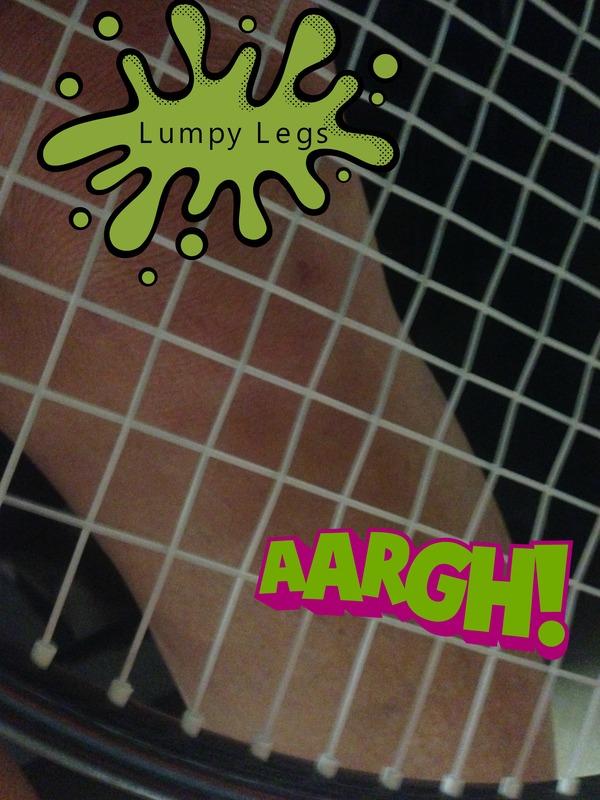 Tennis legs, I know where you are, and I’m coming for you! There’s a lot of hype and hysteria happening right now about THE virus, you know, Ebola… I almost hate to type the word even. I don’t want to add any craziness to the already obscene and unrelenting fear mongering. I’m a fairly reasonable person, I like to think, though the hubs and kids might roll their eyes… mostly because they’re supposed to roll their eyes when mom makes a statement about being reasonable. But really, I am. However, since the beginning of the Ebola crisis (the first one) in the 70s, for some reason, I’ve been scared absolutely silly of that particular form of dying. If you’re as old as I am, you must understand why I say this. This happened in our formative years and it came from monkeys. Monkeys were the bad guys, and well, that was confusing and upsetting.That was the speculation back then. We’ve come a long way. You’d like to think that, but have we? I must admit that after the Frontier Flight where the Dallas nurse flew with a low grade fever after being in close proximity and nursing a man who died from the disease, I kinda, like most of the world, decided that I didn’t really trust anyone to be smart. I had second thoughts about boarding a Frontier flight right here in Texas, and flying to Denver to visit my son and watch him play collegiate soccer. (sigh) I was embarrassed to be nervous, but that didn’t change my nervousness. I decided that I really wanted to see him, and the odds of being on a plane with anyone who’d been exposed were slim to none, but it niggled in the back of my head. What if? What if there was and we somehow became infected, we’d give it to our son, on a college campus and… (head explodes.) That all got shoved to the back of my brain, my sanity prevailed and we got to have a lovely visit in beautiful Colorado with that beautiful, smart and talented kid. Thankful that we did. So very thankful. The trip was glorious! The weather was lovely! 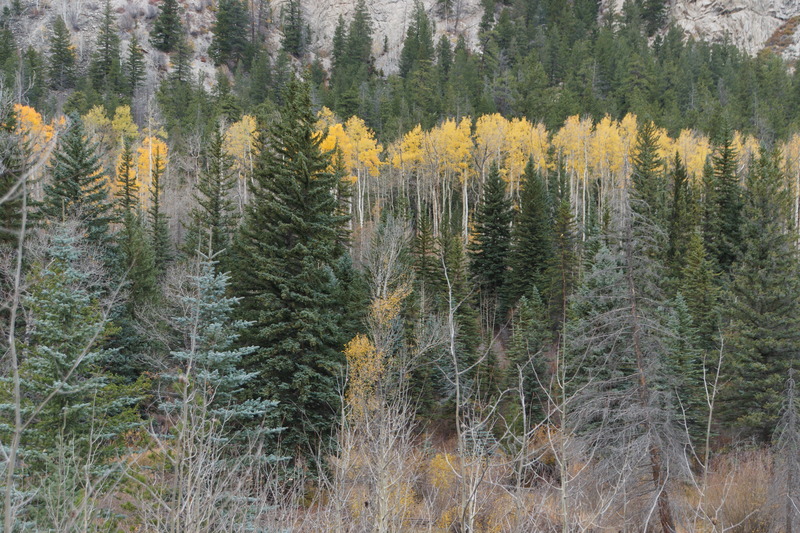 The Aspens were mostly past their peak color, but a few of them were still hanging on and I could not get over my imagining what it must be like in a sea of yellow and white. Wow. I will be back to see them in their full, raging plumage. It was great to get away, and so lovely to hug that boy and watch him play! Though glorious, traveling is hard on my weight loss goals. I’m still trying. Really, I am. I’m just not very good at it right now. Travelling and dieting are very difficult, but I did okay until the last night when my hubby decided to splurge on dessert. We were dining (our first decent meal this trip) in Colorado Springs at Springs Orleans next to the lovely hotel The Mining Exchange (my favorite splurge night hotel). Even then I only had a few bites, or a few bites more, but who’s counting? I didn’t lose, nor did I gain. The scale not moving this week was a win. I’ll hit it harder next week. The trip reminded me of how quickly these years pass. I know, I sound like an old hen, but dammit, sometimes it’s hard! 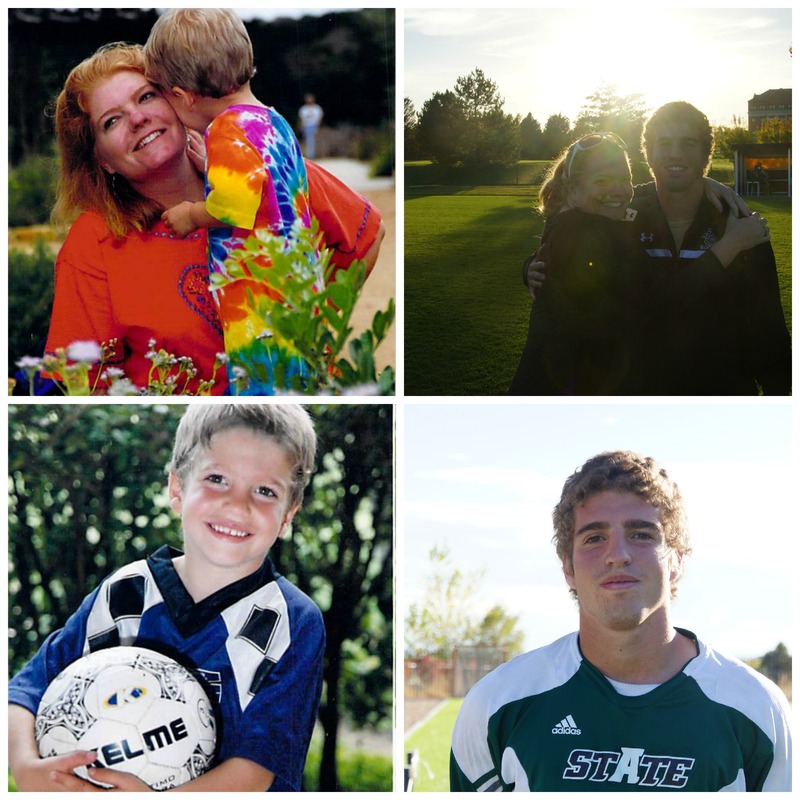 Sometimes it’s painful to look at the handsome, bright and confident young man who used to give sticky kisses and big hugs; the very same boy who told me I wasn’t the best mom in the world, but that I was the best mom in the whole entire universe! It’s bittersweet to see what he’s so achingly, beautifully become, but still so clearly see the curve of that soft toddler cheek, the feel of his tiny hand and the look of little boy adoration he has just for his mom. We still make each other laugh like nobody else, and I know our bond won’t break, but ding dang, sometimes it’s so hard to say good bye. That’s what we moms do though, we let them Fly. My activity levels are up! 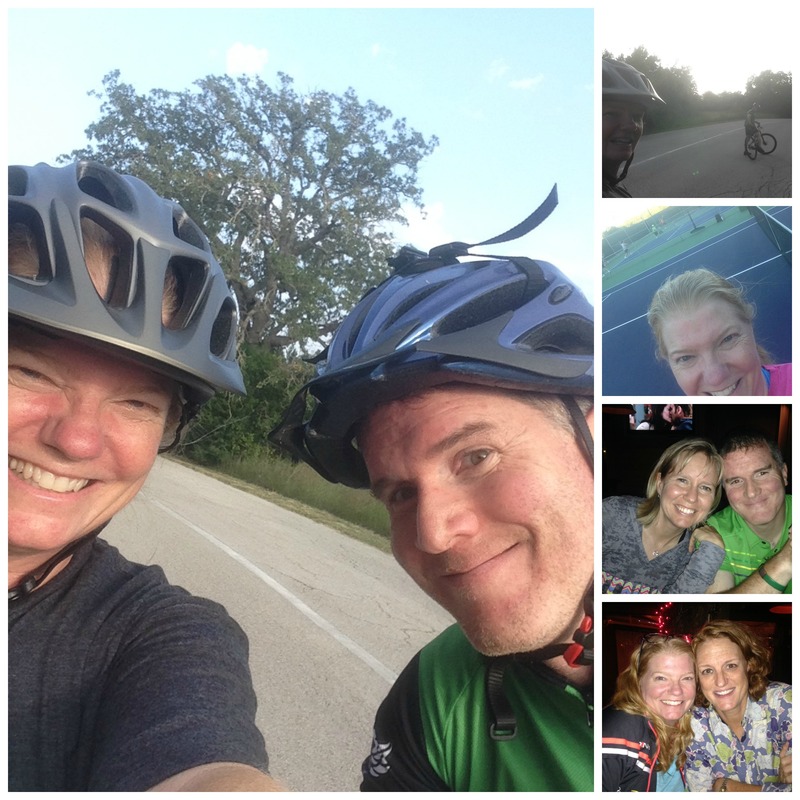 Biking, tennis (ha! if you can call it that) and Physical Therapy. Damn, I’m hungry now! In fact, my hunger level has increased mightily, but an active week sent my happy levels up too! Finally, I got to stand on a tennis court and (sort of) play. Okay, not even play so much as hit a few balls. Doc’s orders = NO RUNNING, so not much went on. I invaded my old lesson, by accident… my hitting buddy fell asleep on the couch (big night out the night before, eh WRW? Just kidding, I was there too) and my regularly scheduled lesson was happening. I was enjoying watching, and was invited to stand at the net and volley with pro Tosh while she fed balls to the girls across the net. Let’s just say, it felt great, but awkward… but still great! My playing wasn’t near par, but glory be it was so awesome to be there! I did not run, but I did some Zombie quick walking to get in position. When they were in my wheelhouse though, it felt so good to hit full out! It wasn’t pretty, and I’m laughing as I type, but it will get better. At PT today, I told Michael (my uber awesome PT dude) that I’d been on the court, he looked at me sideways “No running, right? How’d it go?” So I told him that I had to ice when I got home, but I was very careful on the “running” thing. Frankly, I can feel it’s not ready, so that’s really not difficult to hold back on. But, oh Jeeze, I wanted to. I was watching the gals hustle and sprint and stretch and cut and my desire to be back to that, and my desire to not take it for granted ever again is full on. There’s no better feeling than ripping a forehand from a flat out sprint. I thought maybe he’d tell me to back off, and I was actually prepared to agree with him. He asked if there was pain, “no? Then go do it again. There’s something really healing about being out there again, I’m excited for you. You’re doing so well!” He then proceeded to push me harder today than ever. LOVED IT! And, I’ve been doing well this week. Except for Sunday night at the Salty Sow. Even then, I did really well. I think maybe I cheated by eating 2 deviled eggs and 3 bites of fried avocado with brisket. (holy shittakes that was amazing) but really, not much of a cheat. And then, well, maybe the three or was it four ruby red vodka sodas, pretend you couldn’t read that, might have been against my law. Otherwise, I’m slowly plodding downward. 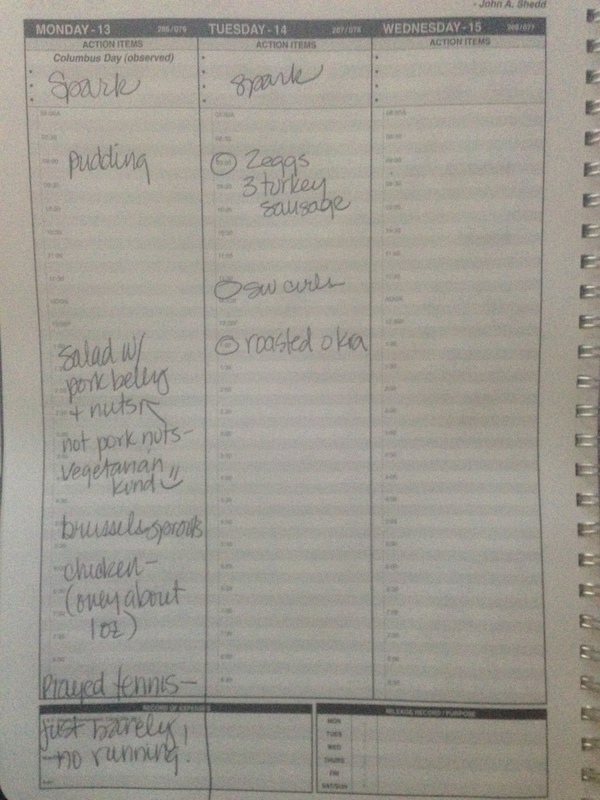 I’m even writing my food log, and I try to be clear. Very clear, because sometimes things just don’t sound right. Enjoy your week. Be active, and avoid the Pork Nuts, unless of course, you enjoy them. Cheers! It’s a 24.4 pound monkey, baby. Alzheimer’s is a scary, brutal disease. My mom, and my grandmothers all had it. I’m scared to death of it. I don’t know if it’s in my head because what would have been my mom’s 78th birthday is a few days away, or if it’s coincidental that new studies are hitting the media. Either way, I’m an advocate of research for this problem. Between 2000 and 2008, deaths attributed to Alzheimer’s disease increased 66%, while those attributed to the number one cause of death-heart disease-decreased 13%. (source) And there’s evidence that heart disease can be prevented with the same approach. I read everything I can about this disease. It’s been called Type 3 Diabetes recently, which really shocked me. And now, that last fact above, is being called into question. New research indicates that memory loss can possibly be reversed (this makes me so hopeful!)! 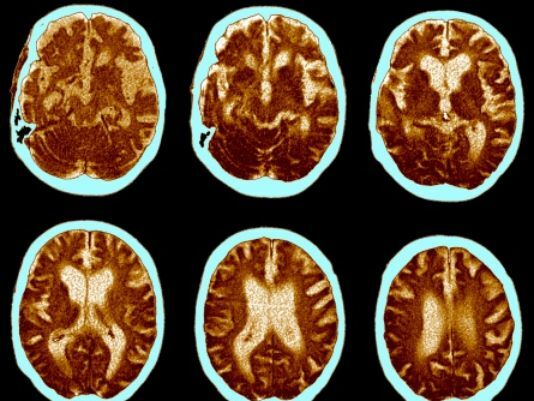 I’ll take excerpts from the news article, but please read it here: Study: Memory Loss From Alzheimer’s Reversed. Here’s the amazing part. the study showed that 9 out of 10 patients with progressive memory loss reversed their symptoms within a three to six month time period after an ultra healthy lifestyle change. What? She is quoted as saying that now she doesn’t feel she has any issues with memory. The one person who did not show improvement was a patient with “late stage” Alzheimer’s. Catch it before it starts. A new, much larger study, is already in the works. You might say to yourself, “That was only 10 people, I’ll wait for a bigger study and PROOF.” Why? Why wait another second? Friends, step away from the simple carbs. Put them down and never venture there again. Please! What if it’s preventable? What if we can stop this? Either way, it’s not gonna hurt you to back off the simple carbs, and trust me, if your loved ones don’t have to see you drift away little by little, endure the moments where you have no idea who they are… where they are, and see a ghost where their favorite person used to be, you’d drop the carbs in a heartbeat. Think about it. Please! You might even lose a pound or two in the process. 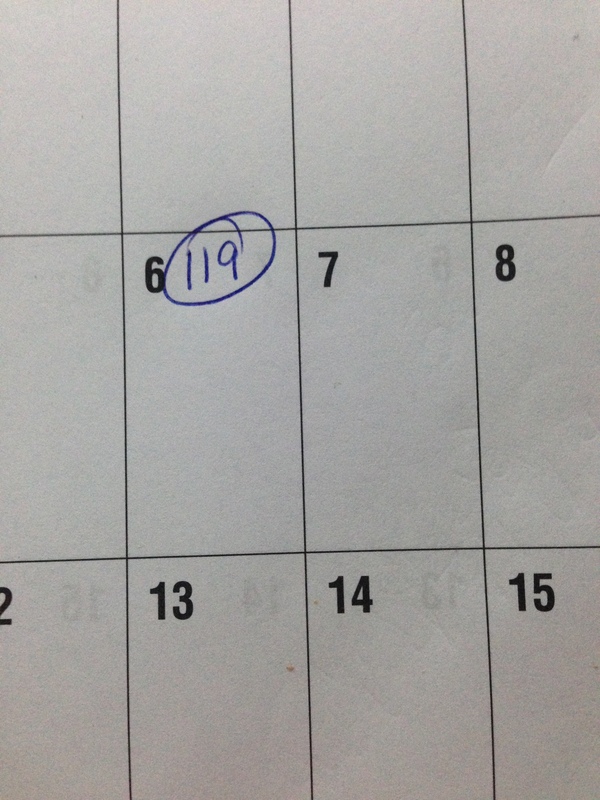 I’ve been on Ideal Protein for 119 days. I thought I’d be at goal by now instead of wallowing 26 pounds from the finish line. My youngest son turned 15 this weekend, and like most parents, I thought, “Wait. Stop. He can’t be 15!” We ate out, big time. I made him 2 homemade-ish cakes (I used gluten free mixes for the starters, but jazzed them both up). And I tried both of them. One, more than once. And I tried the brownies too. I picked meat off the pizza. ENOUGH ALREADY! I’ve strayed too much from the course for my liking. I had a momentary lapse of respect for myself and my challenge. Shame on me. Up a notch now, let’s go! I Am Enough. You are too! We all have that voice inside our heads. The one that talks to us, judges, and gives a running commentary about our lives, our looks, our worth. Often, this voice, this self-talker speaks down to us. It says things we’d find hard to tolerate if we overheard a conversation between strangers. Brutality and negativity spew forth in thoughts we’d never consider having about a loved one. This voice, it’s inside, it’s you. Why aren’t you on the same team? Why aren’t you best friends? This subject has been on my mind. 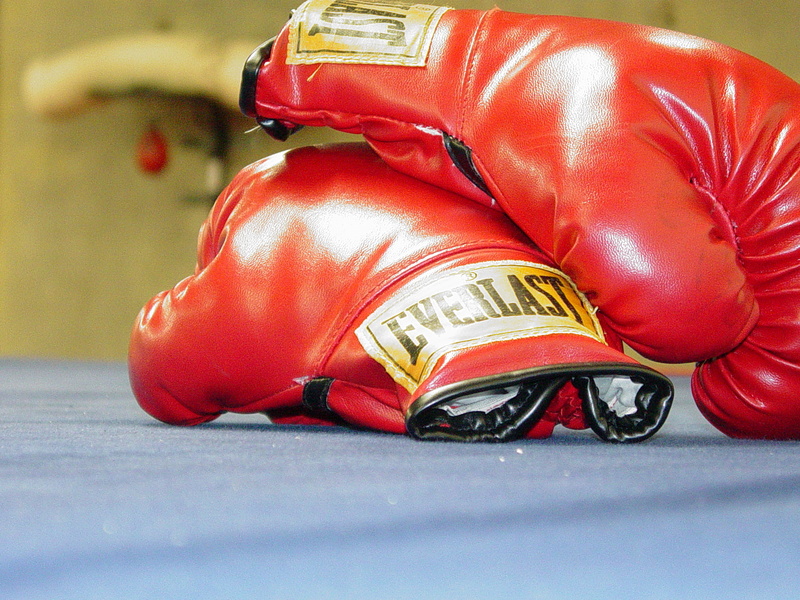 I’ve had this conversation this week with a friend, I’ve written about it on my other blog, and I’ve read about it in The Inner Game of Tennis. It’s not just my problem, I’m betting it’s yours too. This happened in Austin, Texas. Watch this. Then tell that voice, “I Am Enough.” Really. I am. You are too. 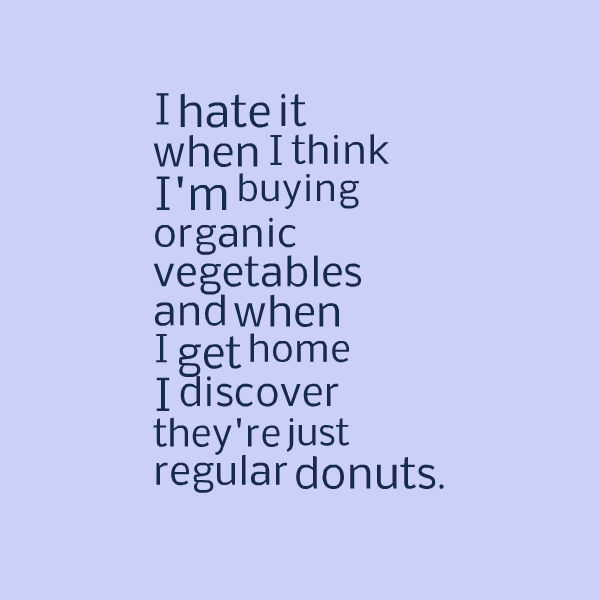 I love hate it when that happens.